I started baking cupcakes and expanded into making custom cake orders. 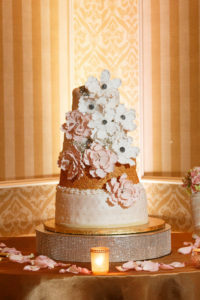 I believe whether its your Birthday cake or your Wedding cake it needs to be a work of art and a delight to eat! All my cakes are iced in buttercream icing. 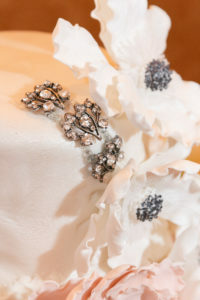 Most of my design cakes are covered in fondant to create your unique design. Custom cake pricing starts at $2.25 per slice additional charges may apply depending on design. All cupcake flavors can be used for cake flavors as well. Wedding cake pricing starts at $2.75 per slice iced with buttercream, and increase based on fondant use and intricacy of design.I will match pictures, party themes, characters, etc. !